Poor Sierra Knox. She lived her life as a successful racing car driver, and along with her father was a powerful figure within Kronstadt Industries, a tech firm making waves in the robotics field. She had it all: fame, money, power, and a name that made her sound a bit like a baddie from a Bond film. It's everything a girl could ask for. And then out of nowhere an assassin dressed like a pink flamingo kicked her down an open trap door to her death. The ignominy of it all. Kicked down a trap door by a pink flamingo. He got away with it, too. "An accident," they called it. Nobody ever suspects the pink flamingo. In a game that takes itself seriously, an amnesiac killer hunting down members of a cabal secretly pulling the strings on world politics from behind the scenes would be even more eye-roll inducing than the last season of Prison Break. 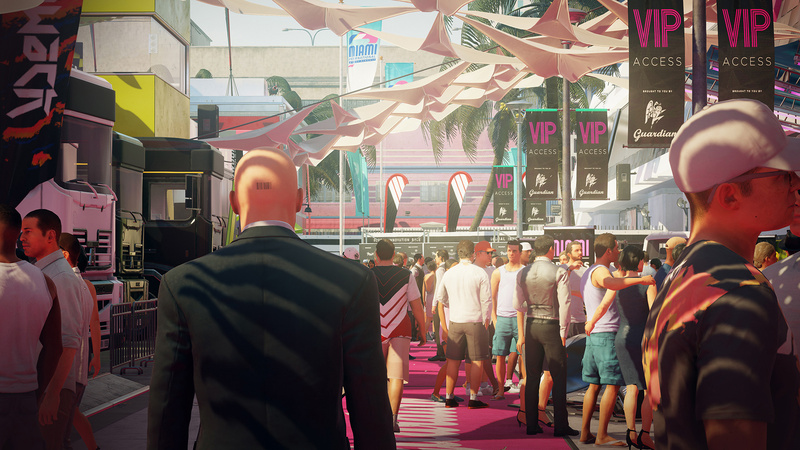 Rather than settling for being a po-faced techno thriller, Hitman 2 – mercifully – knows exactly how ludicrous it is, embraces the absurdity, and at times, goes full tilt into black comedy territory. Murder has rarely been this amusing. Each of the half a dozen missions starts out pretty much the same way. You play as Agent 47 – a remorseless contract killer who has no memory of his childhood – and you're given a job to do by your quintessentially English handler, Diana. She'll give you the low down on a target or two that somebody is willing to pay good money to have bumped off, and then it's up to you to figure out the best way to do it. The contracts all take place in separate, fairly sizeable sandboxes. You'll visit dense jungle, overpopulated city streets, quiet suburbs, and lavish parties, each offering their own unique risks and opportunities. The assassinations are meticulously crafted puzzles and it's your job to solve them using stealth and occasionally action. Underhanded tactics are the order of the day here, and making a murder look like a tragic – albeit hilarious – accident is thoroughly rewarding every time. The sneakier you are the better since a) you'll get a better score once you finish the level if you're neither seen nor heard, and b) the third-person shooting mechanics are as rough as a badger's arse. As you wander around at the start of a mission you'll occasionally pick up intel, or overhear a conversation which might contain some juicy information you can use to your advantage. Tapping the touchpad while listening to one of these conversations allows you to track the hint, and seeing it through to completion will often put you in the perfect position for murder. These routes through the levels are generally entertaining, and often offer you an opportunity to pull off some of the more elaborate and amusing assassinations, but you can turn them off if you find it makes the game a little too easy. It took us around an hour to beat most missions, but that time doesn't include reloads that were required when everything went a little pear-shaped. Fortunately, the auto-save system is fairly forgiving on the standard difficulty, and so if some big-nosed neighbour walks into the room while you're half way through drowning your target in the toilet, you can go back to an earlier part in the level without having to do whole thing again. This is a Godsend as there's an awful lot of trial and error involved in working out where you can go and what you can do without drawing unwanted attention to yourself or your dastardly deeds. Once your targets have bought the farm and Agent 47 has made his escape, you'll be given a rating based on how efficient your murdering was. Killing anyone other than the targets hurts your score, along with being seen, or taking a long time, while making the assassinations look like an accident, wearing disguises, and leaving no trace that you were ever there will net you a better one. The better score you get the more you'll level up, and this in turn unlocks items you can now use either when replaying the mission or in future ones. Unlocking the briefcase, for example, allows you to conceal a weapon inside and carry it into areas where you get frisked by security, meaning that you can approach missions you've already finished using tactics that weren't available to you the first time around. If you played 2016's Hitman reboot then this will all sound incredibly familiar. And it is. 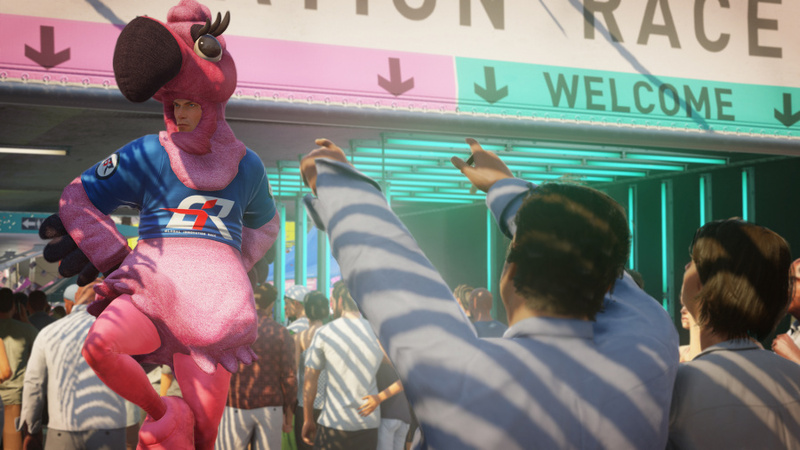 Hitman 2 takes the "if it ain't broke don't fix it" approach to sequels, and so you shouldn't go into this expecting any revolutionary new mechanics or features. There's an online multiplayer mode, which adds a competitive streak to the murder, and in a nice touch, if you paid for Hitman previously, you can download all of the missions from that game to be played here in remastered form. Sounds brilliant. I just wanted more levels really. Shame it's selling crap. this game is selling like crap?? who is this game losing to then??? @Amplified UK sales charts were pretty dire, but it doesn't include digital so maybe it's doing better there. On this site specifically any articles we've posted about it have done barely any traffic at all, so I just don't think people care. Maybe it'll do well in the end, but doesn't feel like it. The last game was criminally underrated and the sales did not represent what a great game it is. If you can get on a Xbox with gamepass (currently a pound for a month trial) you can play the whole of the first season. It is one of the best games ever for replayability and each time you complete a mission more opportunities for amazing kills come up. Your points are all fair and I found myself in total agreement after spending the last eight days with Agent 47 in his new (and a few of the old) murderous sandboxes. I'd perhaps give a little more weight, however, to the point that this is a game built specifically to be replayed. Anybody blasting through it once to see the credits will be disappointed, but that's not how you're supposed to play these new Hitman games. I think it's also why you can watch all the story cutscenes immediately from the get-go, with a small warning recommending that you maybe don't. Otherwise, this is a fantastic game which is being robbed in the sales charts. 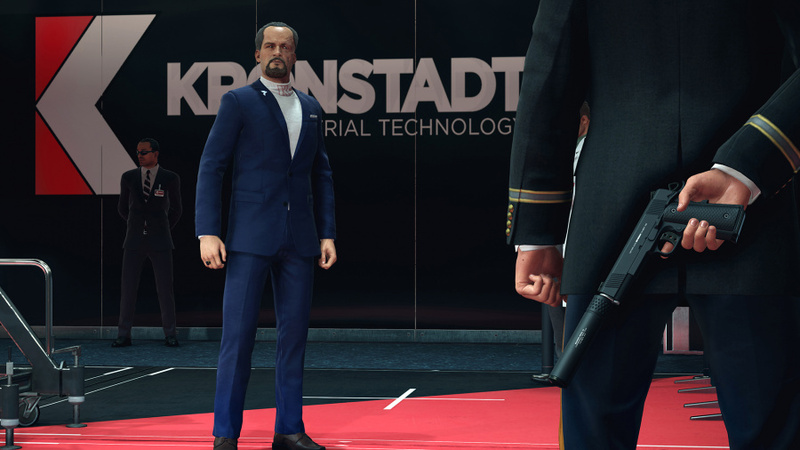 More of the same winning Hitman formula with minor, yet welcome, tweaks and refinements? Anybody who loved the previous game will be more than happy. Also, a perfect opportunity to post my briefcase .gif again. 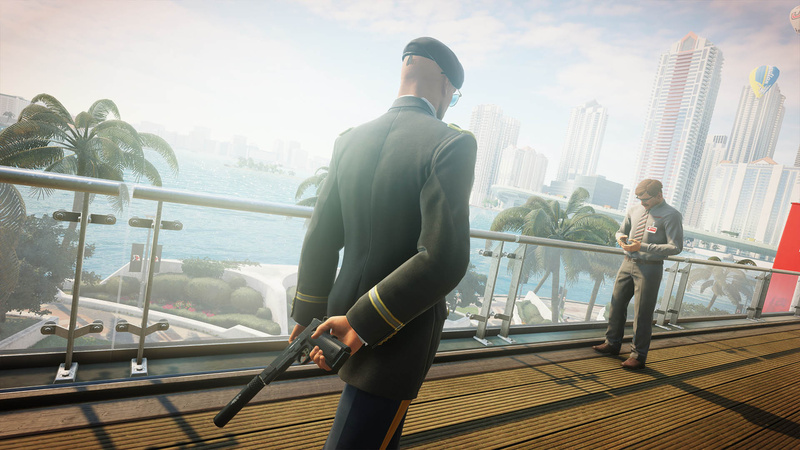 The truth is, this is the first game from IO as an independent studio, and the game looks more Hitman - Season 2 than Hitman 2. Of course, this is just a matter of perception. I bought the early edition despite not having time to play it because I really want to support this game. I absolutely love Hitman games. Managed to do most of first two levels so will make my way to the 3rd in next few days. @RogerRoger Haha, I love that GIF. @HungryWolf No, you're spot on. It's amazing that this game came out at all, let alone in such a detailed and comprehensive state, because there are some very small corners that have been cut as a result of the rough year IO has had (like the story cutscenes, which aren't the gorgeous CGI from before, rather semi-static slideshows... mission briefings are still fantastic, though). I hope the deal they've secured with WB Games goes beyond Hitman 2, which must've been nearly complete by the time they signed up to distribute it, and that they're sympathetic towards launching in this insanely competitive period. @get2sammyb Thanks! Praise be for SHAREfactory. I take it this is a different game from Hitman 2: silent assassin on the PS2? @Ryall Yes; this is the unfortunate result of the modern trend to reboot things without making clear distinction. This is the sequel to the episodic game Hitman (2016, PS4) and not a re-release of Hitman 2: Silent Assassin (2002, PS2). @Ryall It sure is. It's a continuation of the of the reboot from two years ago. @get2sammyb Then you will love it. It's more levels with some minor changes and the new levels are excellent. @johncalmc Yeah I can't wait to get it and try all the new levels. @johncalmc The first paragraph of this review sums up everything I love about Hitman. They should put it on the back of the box. Cool, will buy on Xbox One. The hitman series was my favourite game series until absolution nearly killed it. The last game on ps4 was fantastic and was a more than welcome return to what made the original games great. Can't wait to get my hands on this one. The game at its heart is fantastic but ever since Absolution it has been marketed so clumsily and poorly that it's no wonder it's not selling. @get2sammyb We seriously need to start tracking digital sales, if physical sales are really low people are going to assume it’s flopped but for all we know it’s digital sales could be through the roof and well on its way to reaching its sales target. 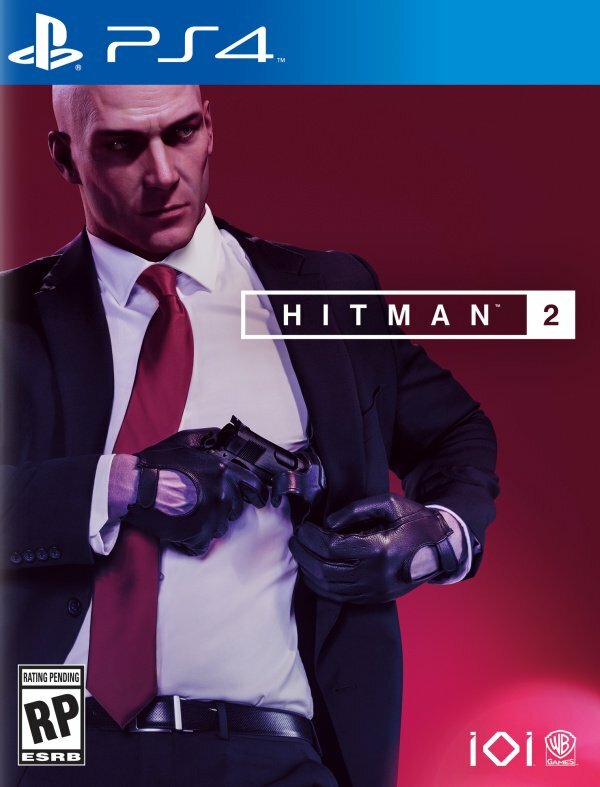 I’ve yet to start the new levels properly as I’ve just finished playing through the first Hitman again but the Legacy version which is incorporated in Hitman 2 and uses it’s mechanics and new (minor) graphical update. I really hope it sells well because I’d hate to see Hitman not get another release, it’s a one of a kind type of game, no other game out there like it. @MaccaMUFC They're adding digital to the UK charts next year. @johncalmc Do you still need to be always online to unlock stuff, get rated at the end of missions and pretty much do anything that you should be able to do without needing to be online? Because that's what broke the fun with the last game for me. Great review, I'll probably pick it up down the road when it's $20-$25 New like Season 1 is currently. Still need to get around to playing Season 1, it looks cool. The key to hitman is mastering the escalations. Those are a good training ground for the main game. Also repetition is key. I finally started Mumbai and it is amazing. Solid game with no horseback riding or fast travel!